Royal assent confirmation will now officially set the project in full swing and ready for construction start in Spring. The news will be welcomed by many working in the sector and looking to benefit from the vast amount of opportunity coming available during phase one. Whilst some maybe less welcoming of todays news. Few can deny the benefit it will have economically on individuals involved in the project supply chain and the long term positive impact it is expected to have on our Midlands and Northern regions. The obvious speed and capacity increases will greatly effect commuters and the sometimes overlooked logistics and freight operators who also heavily rely on our current network but in many cases have to work around commuter timetables. Phase one for the HS2 project has today finally been given royal assent in Parliament, meaning that work on the long-awaited high-speed rail network can now officially go ahead. With construction set to begin in the spring, today sees the launch of £70m worth of schemes for communities along the route between Birmingham and London – from Euston station up to the still-to-be-built Birmingham Curzon terminal which the line will pass through. 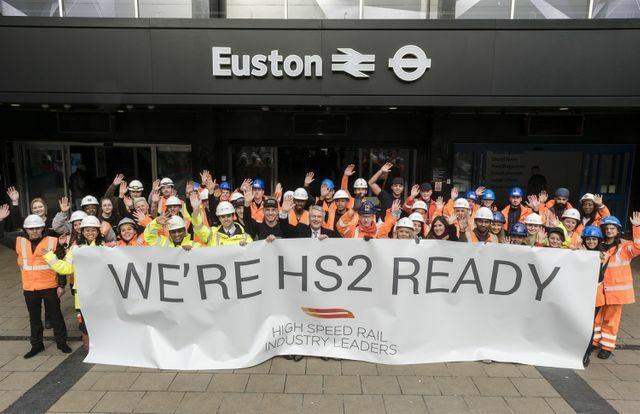 The High Speed Rail (London – West Midlands) Hybrid Bill, which acted as planning permission for HS2, received overwhelming support from MPs, being passed 399 to 42 in favour in its third reading, whilst the Lords had voted 386 to a mere 26.